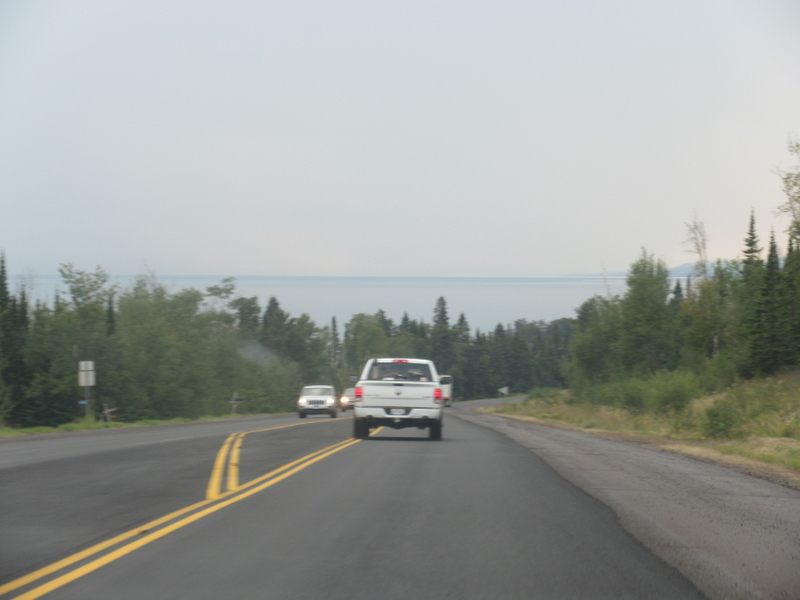 On the passenger ferry leaving Isle Royale. I can't remember what they said this was. 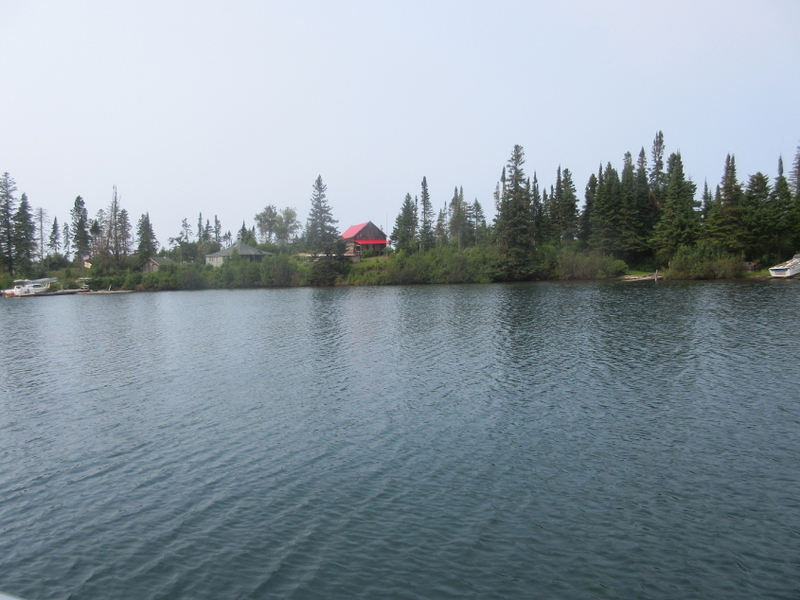 This might have been an old hotel that was on one of the tiny islands next to Isle Royale. 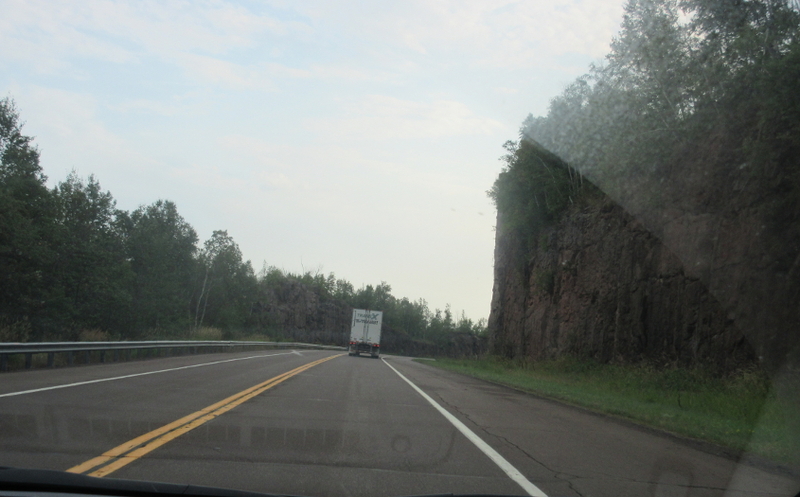 Pretty sure this is south on MN 61 along Lake Superior. 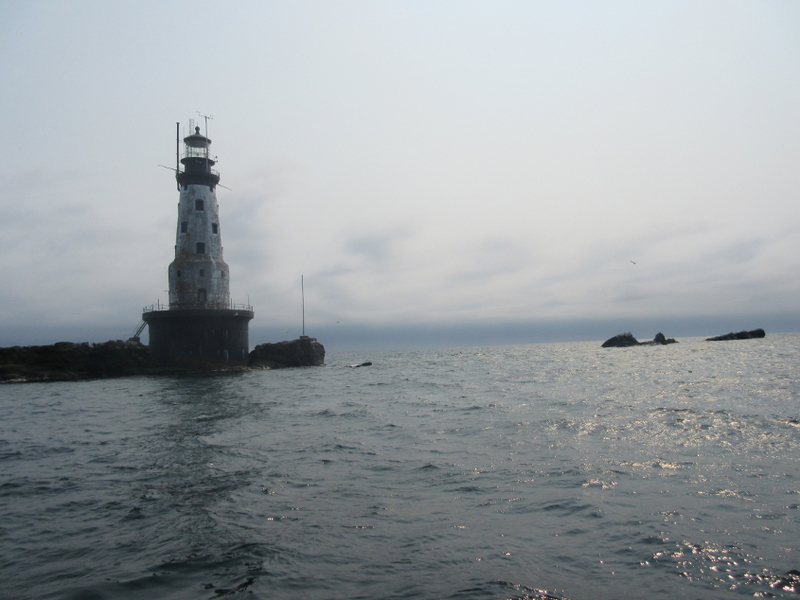 A good Lake Superior view. This is reckoned to be MN 61 again. 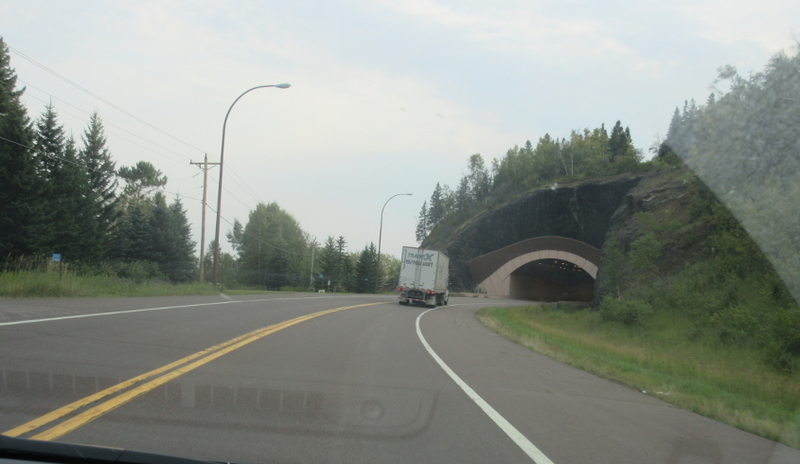 Going back south through the MN 61 tunnels. We went north here earlier, remember? 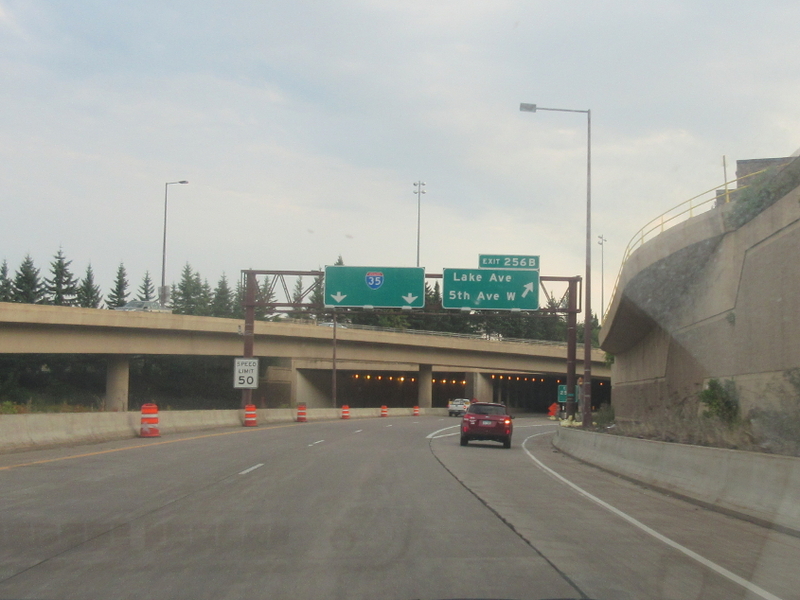 This is where I-35 starts up in Duluth. 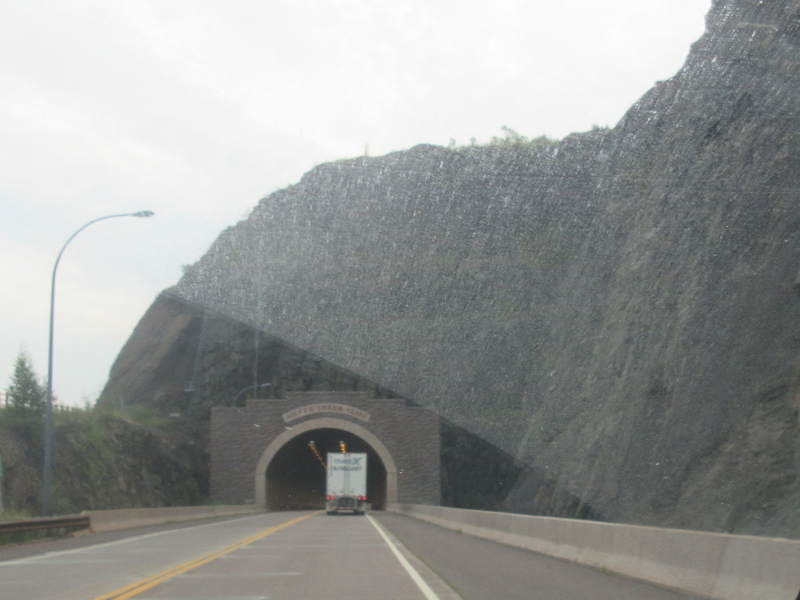 South through one of the Duluth tunnels. 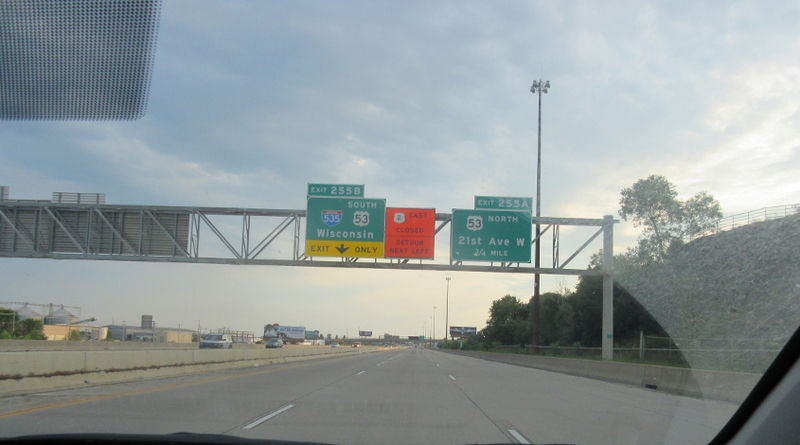 Some of the signage doesn't even specify that this is I-35 south. 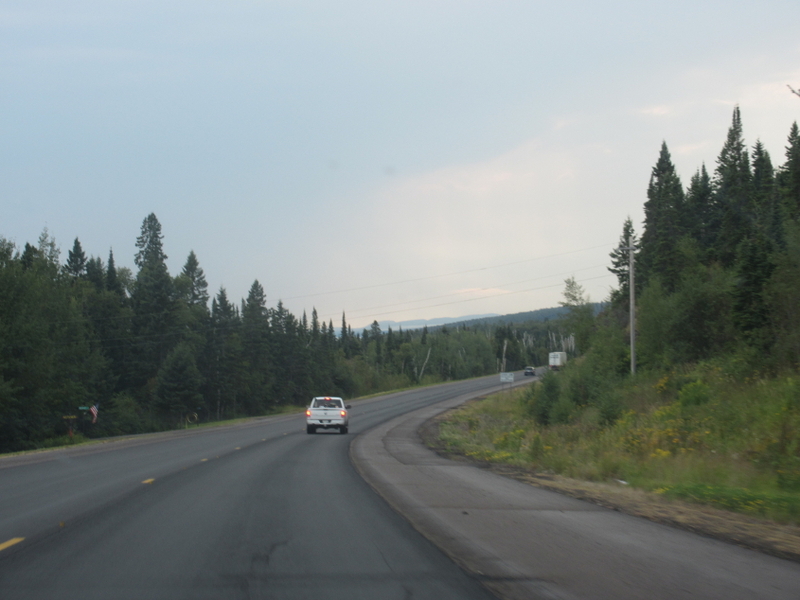 Going to Duluth is like being on the North Pole, and there's hardly anywhere to go but south. 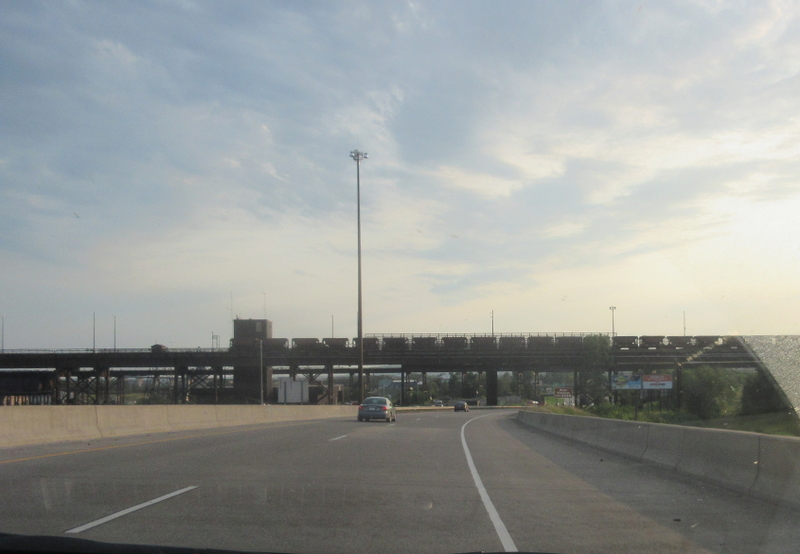 It looks like the long ramp at right has a couple minor tunnels of its own. 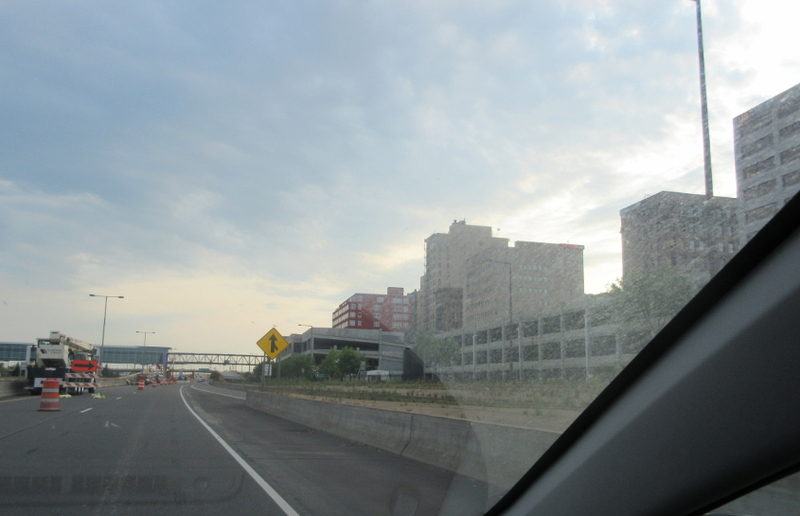 Downtown Duluth! 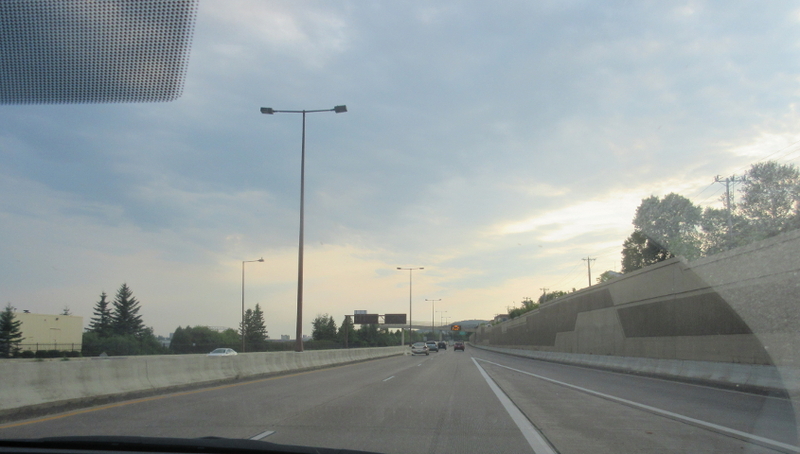 It looks like there might be an abandoned roadway at right. 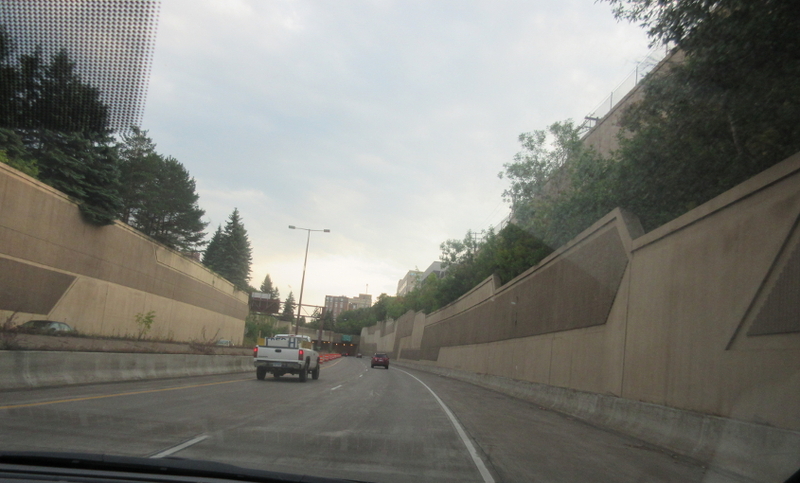 Duluth has a lot of elaborate road features for a city of its size. 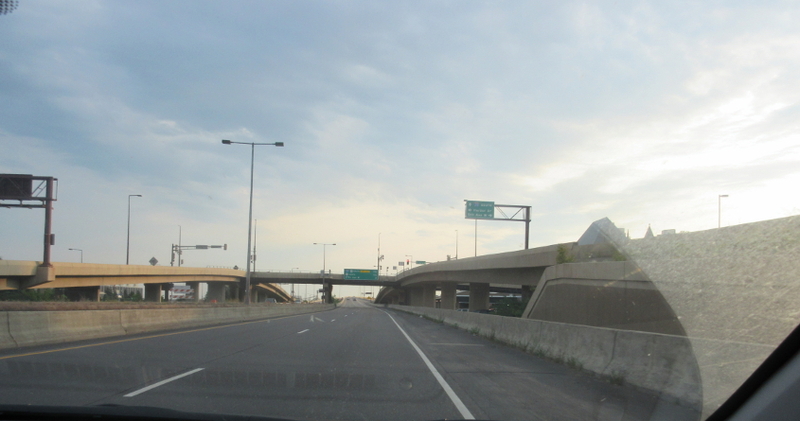 I-35 in Duluth yet again! 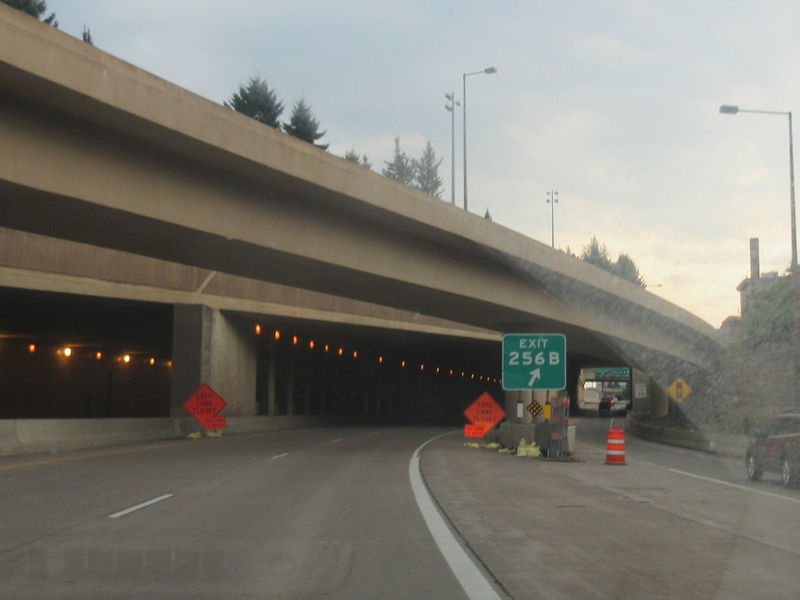 The exit to I-535 is a tangled web itself. 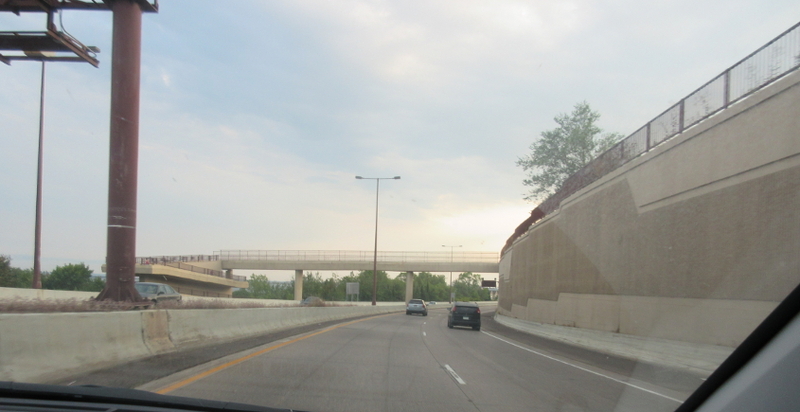 This interchange actually has a point where two ramps cross at-grade, requiring a traffic light on the ramps. O what a tangled web they weave! 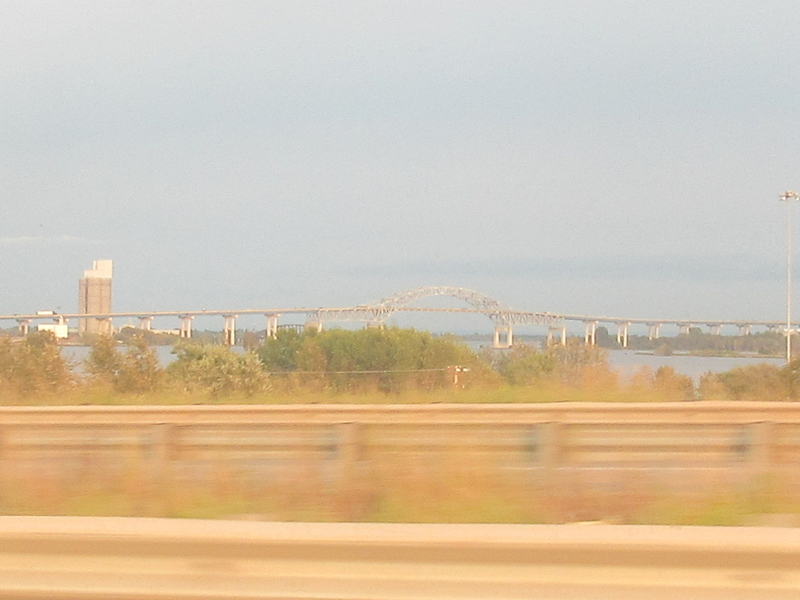 A distant view of the I-535 bridge to Wisconsin. 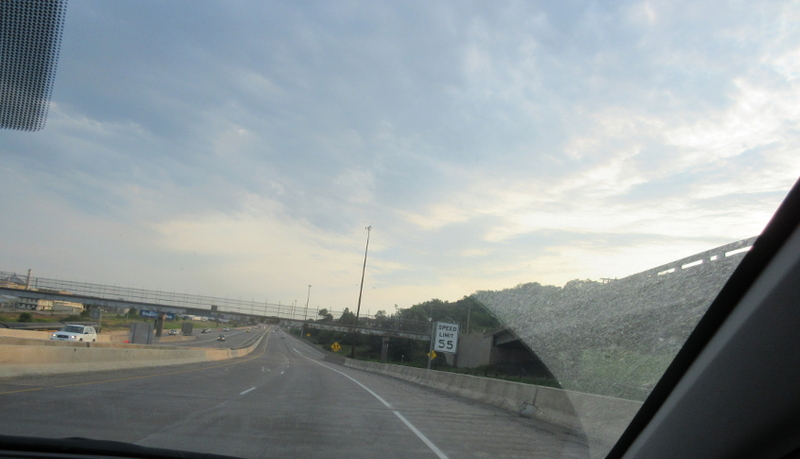 The magic continues on I-35.